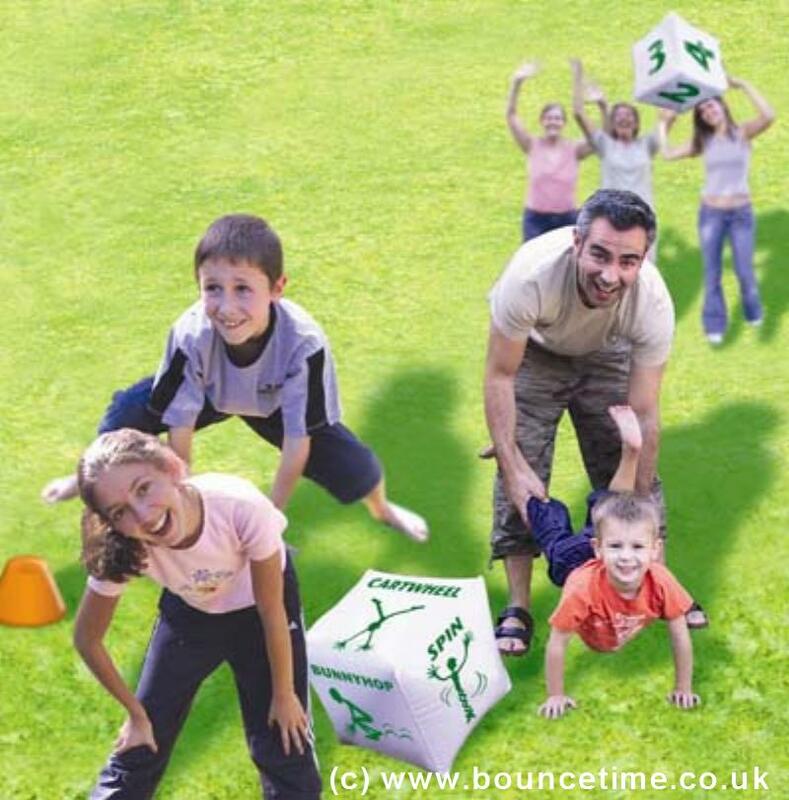 Silly Game Giant Garden Game - Bouncy Castle Hire 4 Kettering, Corby, Wellingborough, Rushden, Raunds, Rothwell, Desborough, Market Harborough, Adult Castle, Slide, sumo wrestling, Sumo, Crazy Games, Giant Garden Games, Northamptonshire. Our inflatables are ideal for kids parties, adult parties, Garden Party and a corporate or business event. Large and small events are catered for and we are fully insured. We offer cheap and discount prices in school holidays and for larger events. Silly by name and silly by nature, this game is simple, but packed with fun! Players act and look a little silly as they compete in this racing game. Throw the giant Inflatable dice to find out how many spaces and what style to move. Leapfrog, Wheelbarrow, Hop or Forward roll around the course to race to the end. Contains two inflatable dice: one to determine how to move and one for the numbers of moves to make. Also includes marker cones to lay out a course.